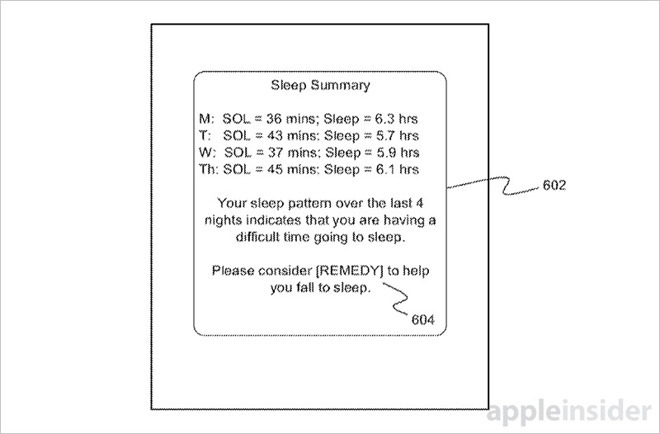 A patent granted to Apple on Tuesday details the use of devices like iPhone and Apple Watch — and potentially Beddit — in adjusting morning alarms based on monitored sleep patterns, shedding light on the company's research into sleep science. 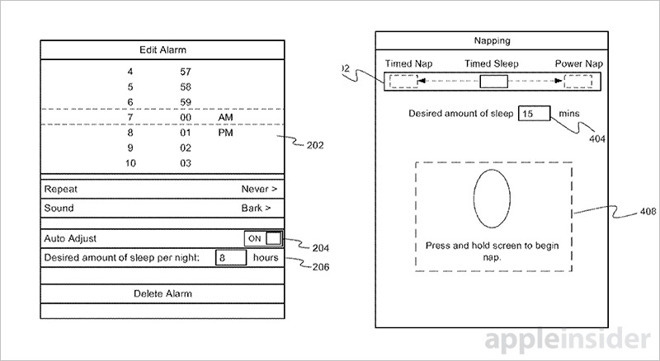 Finally, to detect sleep, the invention relies on both sensor data and basic logic. For example, a device might determine a user is asleep by monitoring their heart rate, breathing rate or movement. Alternatively, if a user is interacting with their device — touching its screen, viewing a movie — the sleep logic can determine that the person is still awake. This information is subsequently used to adjust, or push back, a previously set alarm, thereby providing adequate sleep time — or at least more sleep time — for the end user. Similarly, information from apps like Calendar can be queried for upcoming appointments, which might further adjust wake-up alarm time.